This past week has been fun and busy while we finalized details, hosted family and cooked up a storm for my sister and "almost brother"'s wedding shower. Because it was a couples shower we (the bridesmaids) decided to throw an evening cocktail shower at my home and highlight the couple as a "Perfect Pair". We used a play on words using "pair" and "pears" by pairing wine and beer with the food and using accents of pears to decorate the house. We served heavy appetizers that were split into 4 stations. 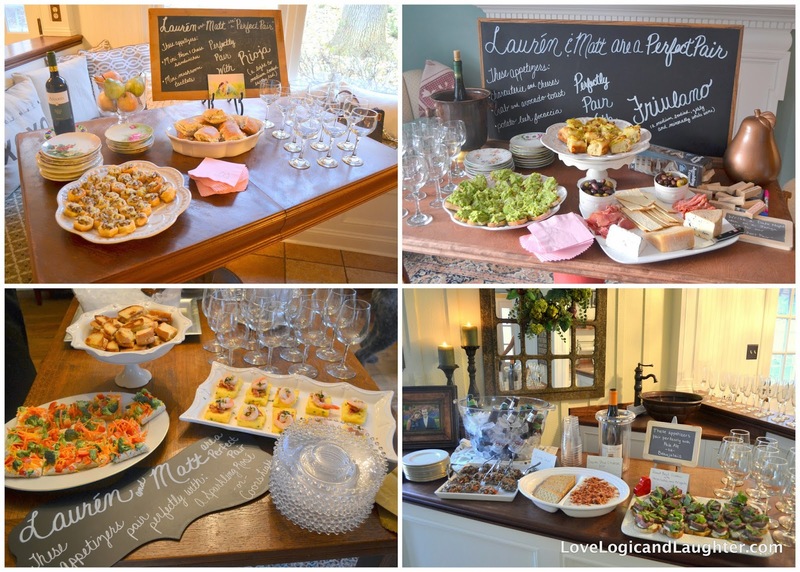 Each station was paired with a different wine and beer. We used chalkboards to label the foods and describe each pairing. The stations were in different areas on the first floor of the house to encourage movement and mingling among the guests. Soon Our Perfect Pair Will Be Mr. and Mrs.
Let's Toast To The Couple! We'd Love To Celebrate With You!" When looking for an invite we wanted an invite that 1. was heavy duty card stock and 2. looked like a couples shower cocktail invite. So many shower invites are only for the bride. In addition, most bridal showers take place during the day. 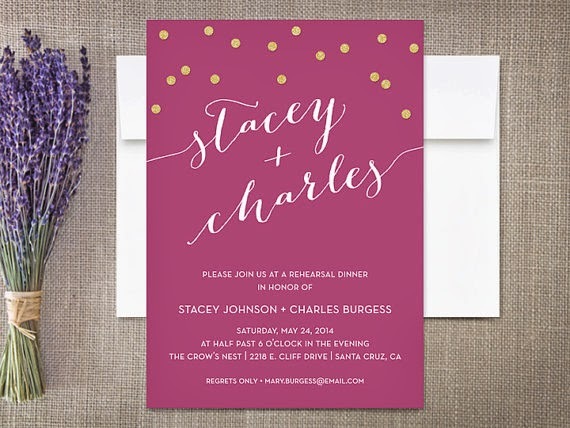 We wanted an invitation that would reflect the atmosphere of a couples shower cocktail party at night. The quality of the card stock was wonderful and the processing/shipping time was very fast! ... soon our "Perfect Pair" will be Mr. and Mrs.
We found the below "the perfect pear" napkins on Etsy. The store owner prints them onto colored napkins of your choice and uses different font colors that you can choose from as well. 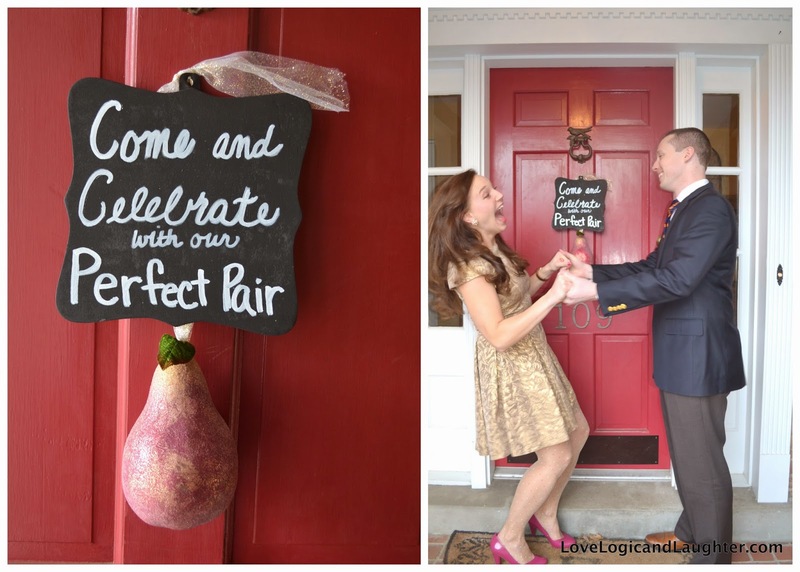 The front door was decorated with a chalkboard sign and pear. Our perfect couple are in the photo below excited to get the shower started! If you look closely the bride wore an outfit that coordinated with the invitation she received! "Come and Celebrate with our Perfect Pair"
We had several quiet activities that were available to the guests throughout the evening. 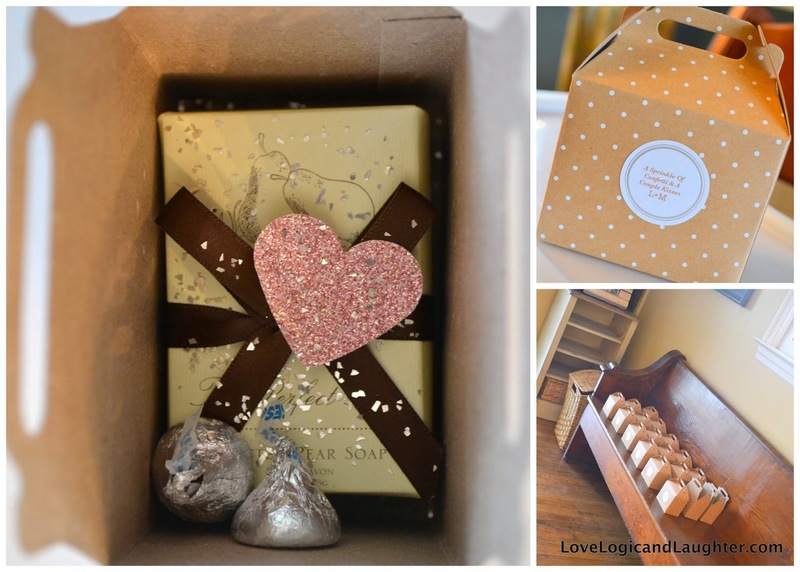 For details on these activities during the shower visit this post: Activities For A Couples Shower.